My Everest expedition style was unguided by a Western guide, but supported by a Sherpa. I would not have been successful without my Sherpa, Chuldim. Expenses of a personal nature such as alcohol, laundry, postage, telephone, etc. 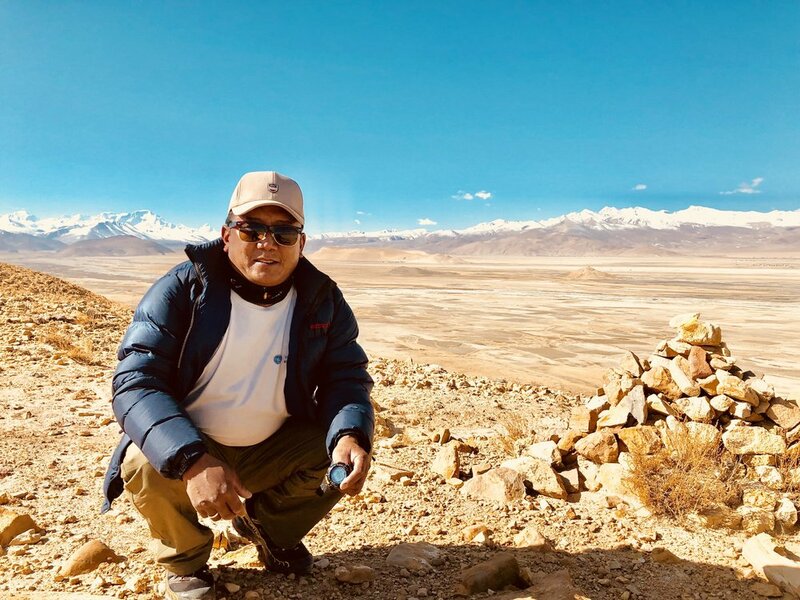 A week prior to departing to Kathmandu I was told that my Sherpa’s name was Chuldim, he was 54 years old, he summited Everest 5 times from the South side and none on the North side. Knowing this little made me nervous so I reached out to my advisor, Michael Hamill, to discuss if I should be negotiating with Mingma for a younger Sherpa. Michael put me at ease reminding me that I needed an experienced Sherpa and not an ambitious young one. I decided to trust that Mingma chose an appropriate Sherpa for me and flew off to Kathmandu to meet him. I met Chuldim on my second day in Kathmandu. 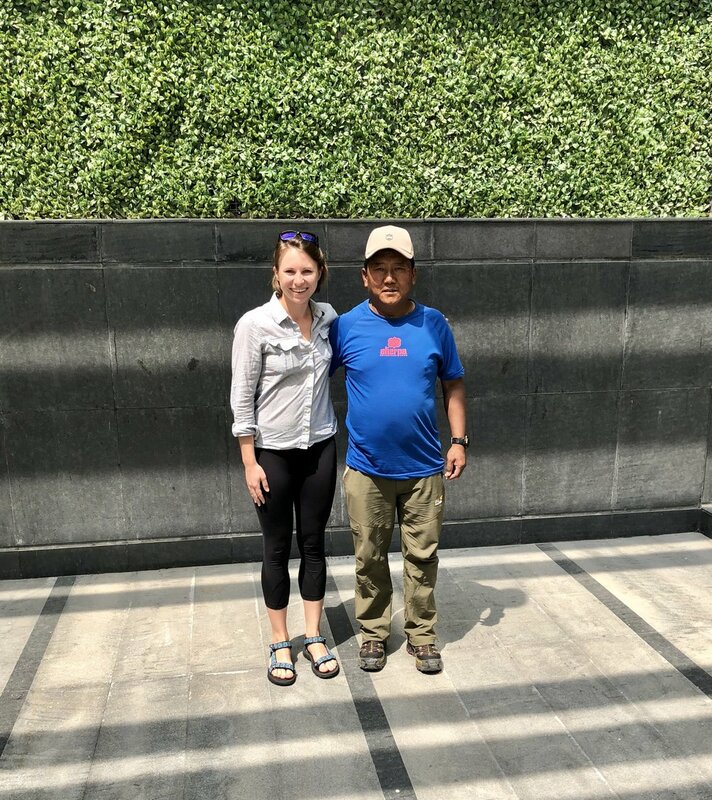 He was a short, stout man with a very gentle demeanor and good enough English for our conversation to go from small talk immediately to itinerary and route planning. I was happy and felt like we had a good rapport. Good rapport is essential to a successful expedition! Chuldim’s English was good enough for us to keep a conversation. However, sometimes I would notice that he would give me a polite smile and nod after I finished telling him something. With English being my 3rd language I knew that it meant that he probably didn’t understand all or some of what I told him. I would make sure to repeat myself to confirm that he understood what I said to him if it was important (e.g. itinerary, route, acclimatization plans, yak travel, carry schedule, etc.). Don’t assume that your Sherpa will know what you want them to do and what you will be doing. Discuss and confirm that both of you agree. Everest expeditions are hard physically and mentally. I asked Chuldim if he found Everest expeditions hard, he said “yes”. That made me feel better about myself, because prior to that I didn’t know if I was just weak. Knowing that he was also struggling like me made me treat him like I wanted to be treated. He always made sure that I was doing well and if I needed anything and I did the same for him. I wanted to ensure that he was healthy and well rested since he worked harder than me and still had to help me on our summit bid. I carried as much extra weight as I could to help him. Chuldim and I travelled from Kathmandu to Base Camp together. We also did the first acclimatization run up to Camp 1 together. While I did the second acclimatization run up to Advanced Base Camp (ABC) by myself, Chuldim carried our equipment to cache it at higher camps. He completed the second acclimatization run to Camp 1 together with me. While he continued the runs to high camps I descended to Base Camp and rested without him. The next time I met with him was at ABC for the actual summit bid. The suggestion here is; figure out your concrete itinerary so both of you can be independently working on it and know exactly when and where you will reconnect even if you can’t communicate. Tragedies to both clients and sherpas occurred during my expedition and coincidentally those teams did not have good rapports. When you’re doing a life threatening activity you need to ensure you are working with someone who has your back and you have theirs.